Courtesy of KELLER WILLIAMS REALTY S.SHORE. Built in 2017, this gorgeous home is nestled in a gated community that offers residence maintenance and areas of relaxation. THIS HOME QUALIFIES FOR A FREE MORTGAGE +$1,000 BUYER REBATE AND UP TO $5,000 IN ADDITIONAL DOWNPAYMENT ASSISTANCE!Wind down in the central pool area with a hot tub, outdoor kitchen and a covered cabana. Low HOA is also a plus. Tour this award winning Tidewater model floor plan today and let us Welcome You Home! Please, send me more information on this property: MLS# T3154499 – $309,900 – 6429 Positano Ct, Sarasota, FL 34243. 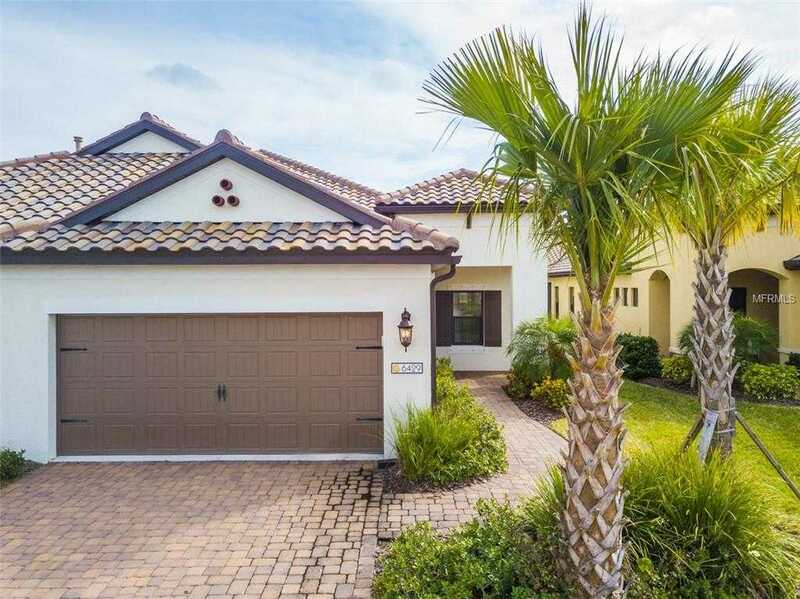 I would like to schedule a showing appointment for this property: MLS# T3154499 – $309,900 – 6429 Positano Ct, Sarasota, FL 34243.